Read the comment by the academic advisors on the SOCTA 2017 here. 1 The EU Policy Cycle ensures effective cooperation between national law enforcement agencies, EU Institutions, EU Agencies and other relevant partners in the fight against serious and organised crime. 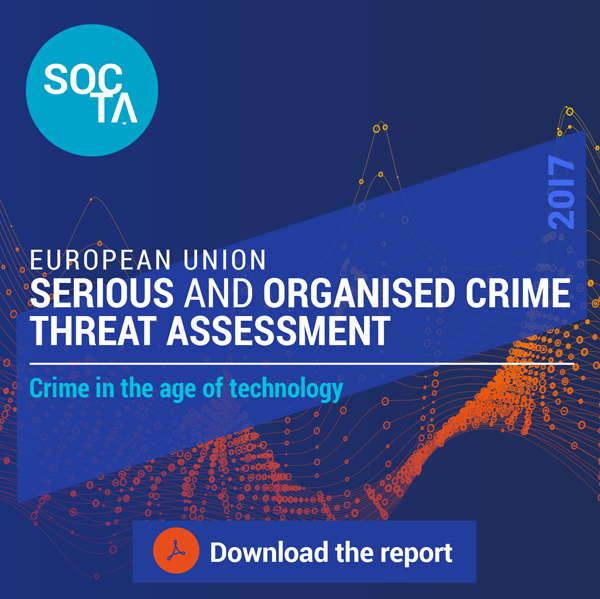 The Standing Committee on operational cooperation on internal security (COSI) will use the recommendations of the SOCTA to define the EU crime priorities for the coming four years that will be adopted by the Council of Justice and Home Affairs Ministers. The 2017 SOCTA is the second edition of the SOCTA following its inaugural edition released in 2013.